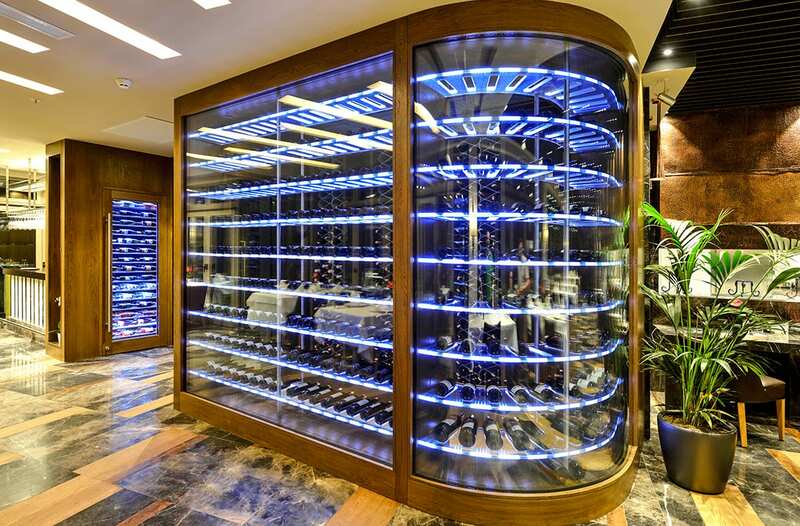 Hamdi Restaurant on the top floor of Radisson Blu Pera hotel holds a wine cellar that has a design reminiscent of the streamlined modernist buildings of the 1930s. Curved edges and horizontal lines are mainly responsible for the effect. Neon-like lighting which, in fact, is all made of LEDs to protect the wines from UV and heat, adds to the effect. 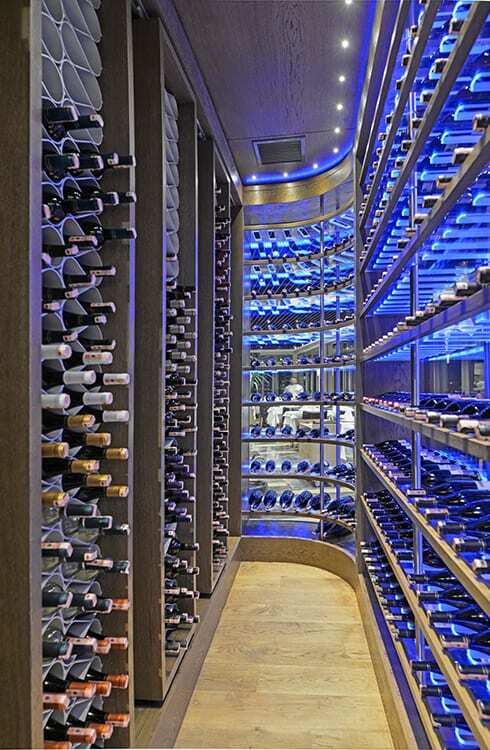 The wine cellar also features a detached wine cabinet for keeping some popular wines at their serving temperature.